‘Travelling Concepts in the Humanities’ is intended as a guidebook for interdisciplinary cultural analysis in the humanities. In this challenging work, Mieke Bal analyses a variety of concepts - such as meaning, metaphor, narrative, and myth - that ‘travel’ from one discipline to another. 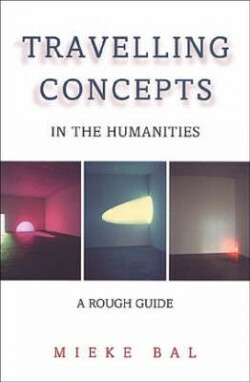 To illustrate the possibilities of these concepts, she provides examples drawn from a number of disciplines, including literary criticism, art history, and visual studies. Interdisciplinarity, she argues, must seek its heuristic and methodological basis in concepts rather than in methods. This is not only a guidebook, but also a story of adventure: we are witnesses as concepts travel into or through visual studies (or the cultural practice of art), displaying their possibilities through a series of fascinating case studies. Returning from our travels we find that the object constructed no longer is the ‘thing’ that we chose; it has become a living creature, embedded in new questions and considerations. This lively, wide-ranging, and innovative study will be of interest to scholars in a variety of disciplines, including literary studies, art history, biblical studies, feminist theory, and visual and cultural studies.